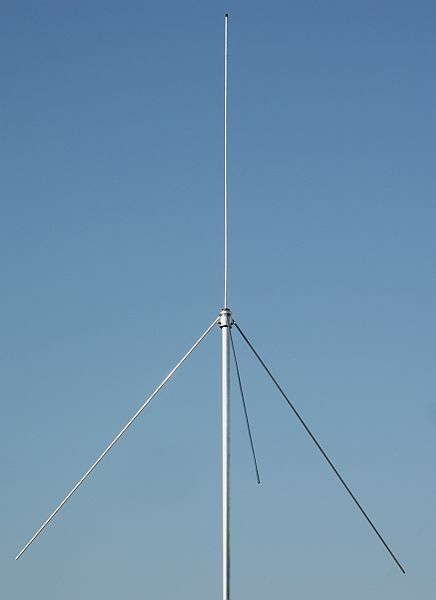 These antennas consist of a halfwavelength radiator and a matching cavity. 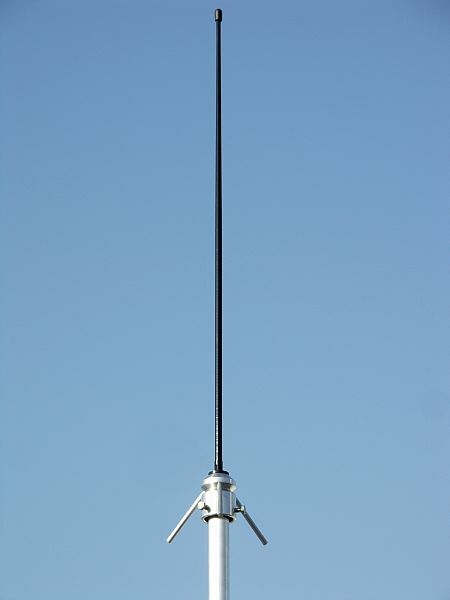 The feedpoint is grounded, so the whole antenna is at ground potential, helping against static discharge. Gain approx. +3dB compared to a quarter wavelength radiator. 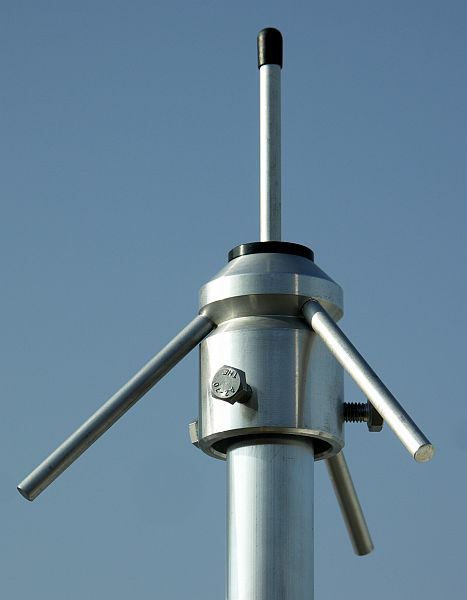 This omnidirectional antenna from Hustler Antenna is very robust and withstand wind speeds up to 160km/h. Furthermore its electrical design provides for a low radiation angle and stable pattern. 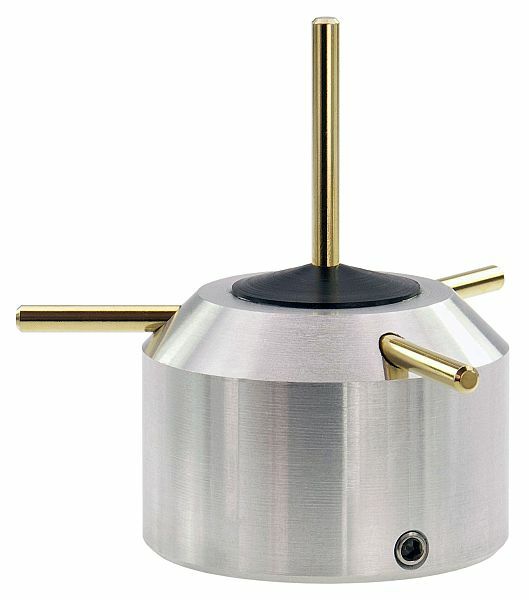 The model D-190 is designed for a higher frequency range, from 100 to 1500 MHz. This makes the antenna somewha tsmaller and less visible. 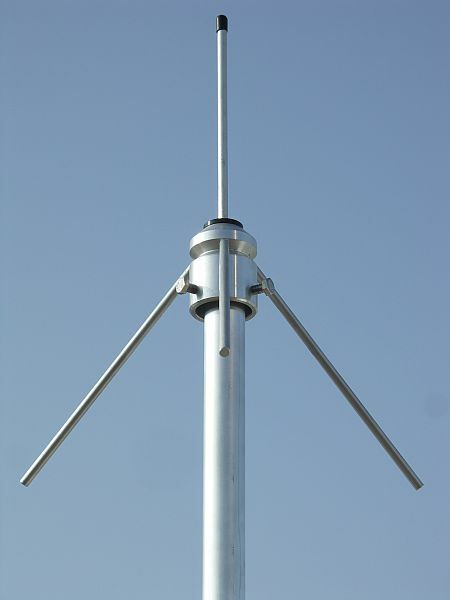 Transmission is possible on 2m, 70cm and 23cm, partially with rteduced power up to 30W only. See data sheet. 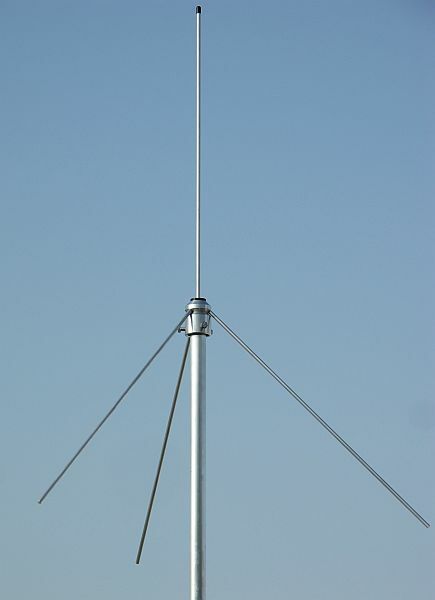 This antenna comes with a PL female socket and 10m RG-58 cable with PL connectors on each end.